Silkie was the second cat. I took her in mostly because Dennis wanted her, and she wormed her way into my heart. She was a modest and retiring sort, but very loving. 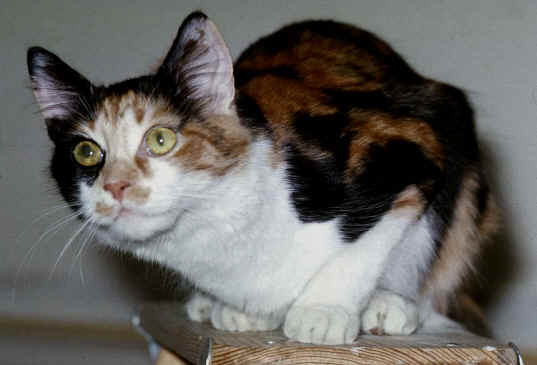 This is a picture of her when she was an adolescent (about a year old). Dennis taught her a lot, but she taught him how to climb a ladder. After he saw what a fuss we made over Silkie on top of the ladder, he had to climb up, too, and sit there until we noticed him.